Curious Corner is all about exploring that grey area of life, where things are not what they seem, and having fun in the process. 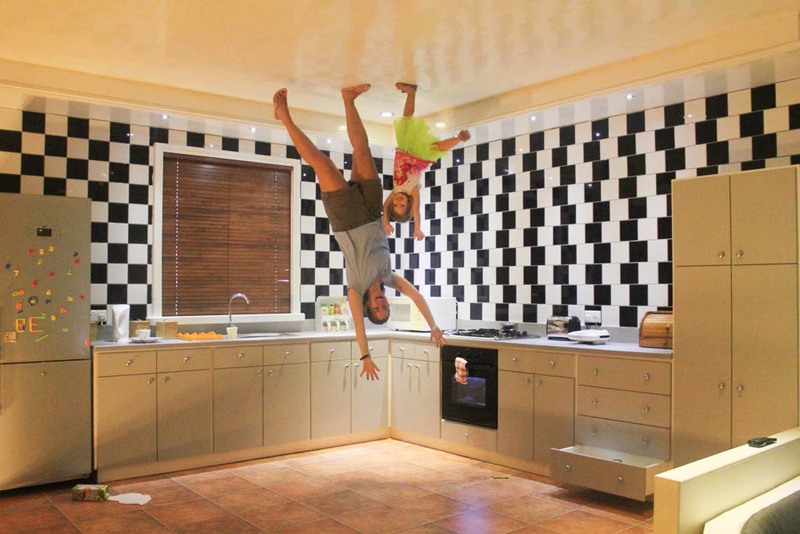 In the Curious Corner Upside Down Room, we explored the kitchen, living room, and dining room in this bizarre upside down world. Coming up with funny picture ideas was my favorite part and Athena enjoyed the Laser Music Room so much that it held her attention for almost an hour. She touched the colorful laser lights to create sounds and turn the room into her own DJ station. Located in the south, La Vanille Reserve has over 1000 tortoises as well as crocodiles, butterflies, monkeys, iguanas, and deer. It is set in a beautiful rain forested valley with natural freshwater springs, full of prawns and fish. At the main entrance, they offer an opportunity to hold a baby crocodile. Initially, I just walked by because I assumed Athena wouldn’t be interested, but she asked me if she could do it. I was shocked, but agreed. Without hesitation, she reached out for the baby crocodile. I took at least a dozen photos with my mouth agape. It was inspiring. This wasn’t the first place I’d visited where you can hold a crocodile but it was the first place where you can touch and even sit on a tortoise. Although riding a speeding tortoise isn’t on my list, I did let Athena sit on one. 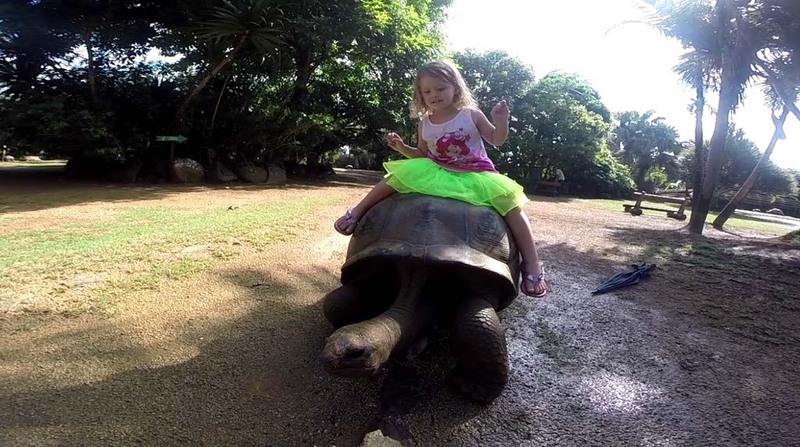 I wonder if it’s the first time someone rode one of the tortoises in a tutu? It might be safe to say that only Athena would do that. In the park, there is also a “Jungle Adventure Playground”, which is an area offering fun attractions and activities, especially designed for children. We could have easily spent the entire day just playing at the playground or with the giant tortoises. Blue Safari 1100, the submarine we experienced, was built with families in mind. It’s fitted with individual windows and allows a very good vision of the underwater world. A camera situated on the bridge showed the impressive immersion of the submarine on a TV screen from inside and the captain talked us through the entire process. At 30 metres in depth, observing the aquatic ballet of fish and dancing coral was stunningly beautiful. 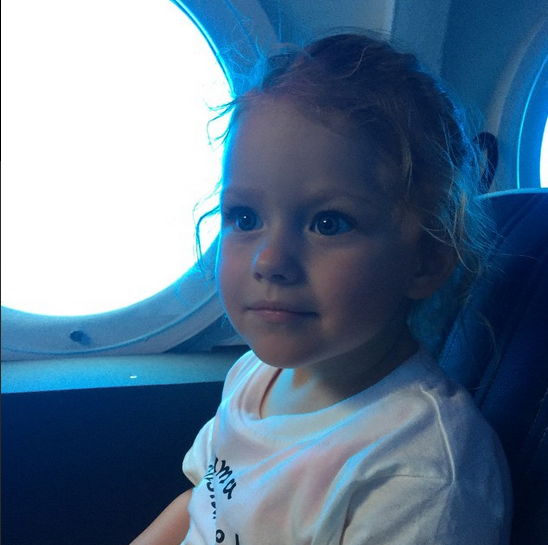 It was the first submarine adventure that I experienced without age restrictions. They even offer special pricing for children under three. Casela Nature and Leisure Park in Mauritius is a 14 hectares park offering animal interactions and adventures for the entire family. For bold adventure lovers, there are quad, buggy and segway tours, the longest zip line circuit in the Indian Ocean including hanging bridges, hidden waterfalls of up to 20m in height, and Canyoning. For a tamer adventure, there is a safari, a playground, a petting farm, fishing, and an aviary. 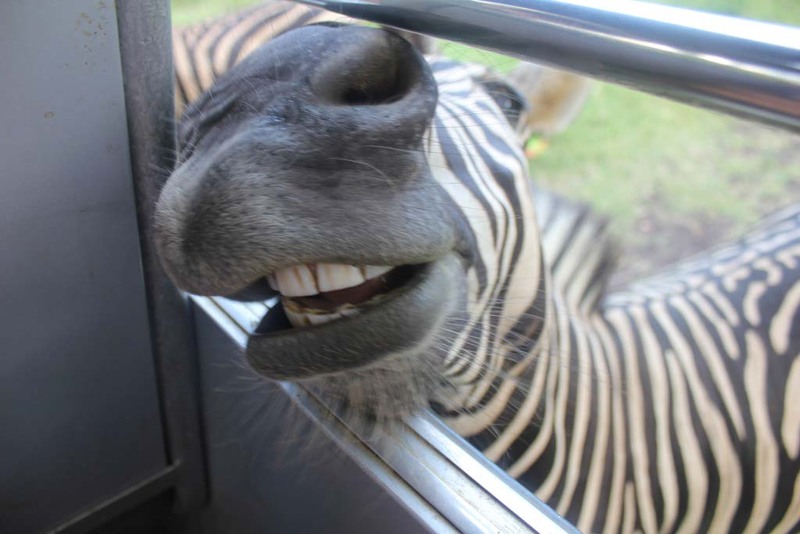 We were able to get up close and personal with several animals including zebras, ostrich, birds, deer, rabbits, and giant tortoises. With tons of animal interaction, a timely transportation system, delicious dining with a view, and loads of trees for shade and natural beauty, Casela is an awesome place to spend the day with the whole family. Our day on board Oceane began at 9:30 am departing from Trou d’eau douce. The excursion consisted of a visit to the waterfalls of Grand River South East and a stop for snorkeling at the Grand Blue. The snorkeling spot was calm enough that Athena could easily swim without getting splashed in the face too much and the fish weren’t aggressive enough to worry her. Lunch was served on board while moored behind Ile aux Cerfs. After our delicious lunch, we had time to discover the island of Ile aux Cerfs. The beach was below waist level for at least 200 feet. With small, gentle waves and warm waters, it was the ideal spot to cool off and play. We returned back under sail to Trou d’eau douce. Island tunes played loudly enough that they could be heard from the front of the ship where Athena happily sang and danced. We’re both water babies and this was our favorite day. 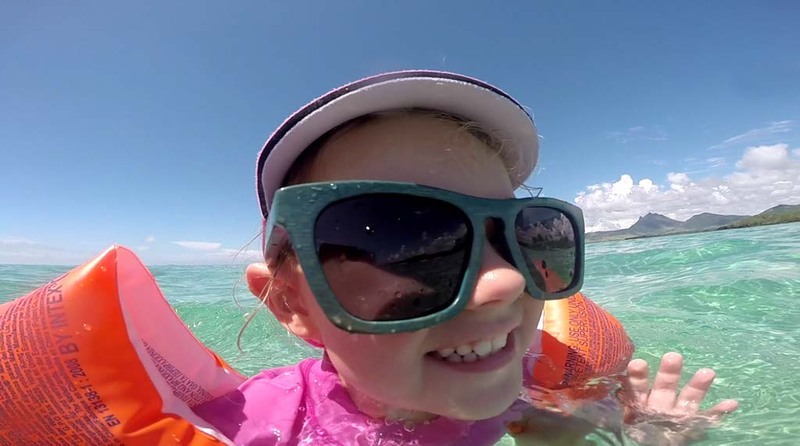 If you’re tired of visiting the same places in the Caribbean or Hawaii and want to experience something new, Mauritius is a great alternative for a family vacation. You can still opt for an all-inclusive option but enjoy a whole new world of unique adventures. We were looking for a new country to visit this year and never considered Mauritius. It’s all we talked about for the last week because of your visit. We are going to do it! You are awesome and an inspiration. Thanks for showing us the world. There is no way to get bored in Mauritius with Elite Voyage http://elite-voyage.com/ you have an exciting opportunity to try sky jumping, deer hunting or spend the whole day on a deep sea fishing adventure. If you prefer quiet but informative sightseeing, we offer the most amazing excursions. Wow! Looks like you had an amazing time. I must admit, I’ve never thought of Mauritius as a family destination, but it looks like you guys nailed it! 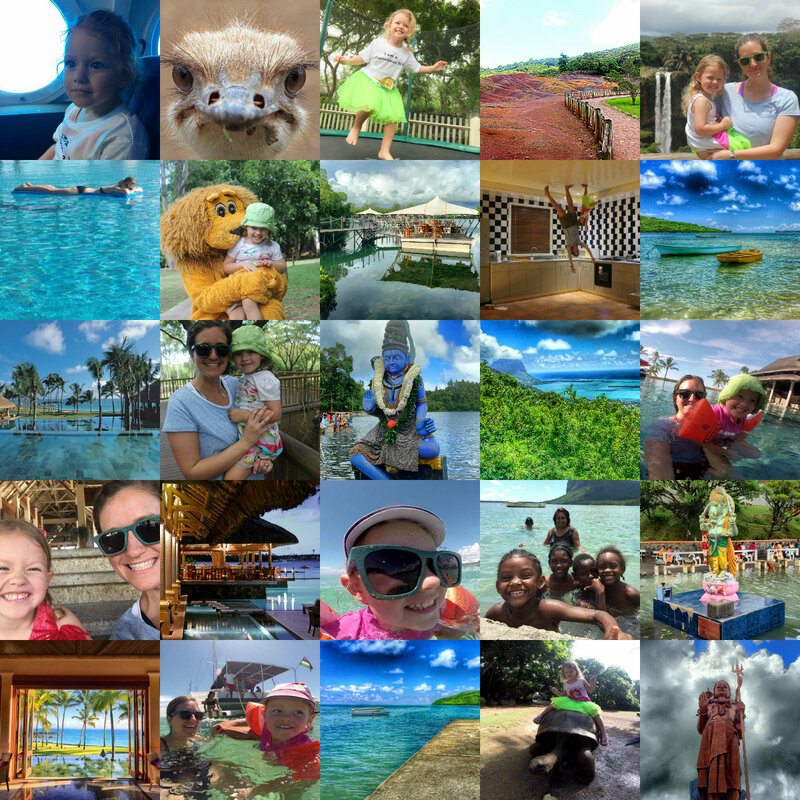 I was going to say the same thing… and that’s why sharing travel stories is so important… it makes others think about a destination in a different way and hopefully inspires others. Thanks for sharing and glad you had a great time! Mauritius sounds like a blast! I’ve actually never heard of Mauritius before this but it looks like a lot of fun. I’ll have to look into it some more.